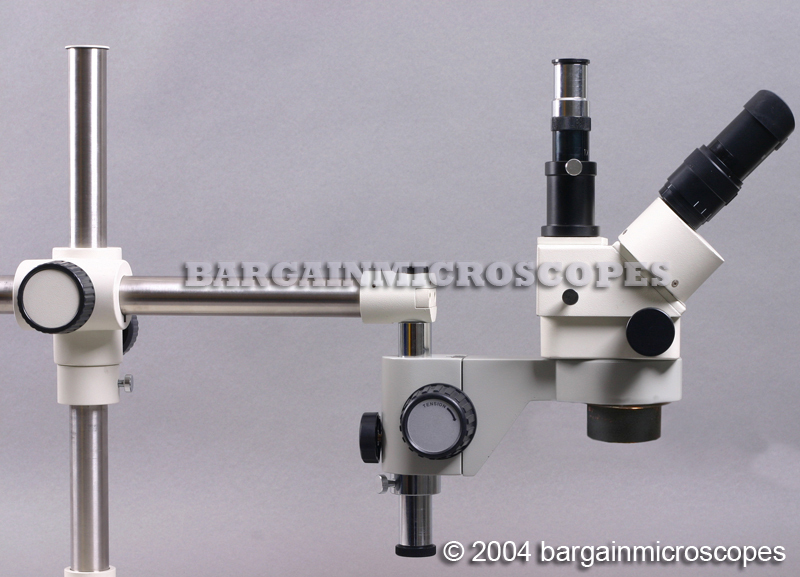 Need versatility in a microscope? You need a boom mounted microscope! Our variety of microscope boom stands allows you to select from normal and heavy duty double arm boom stands, articulating boom stands, and floor stands. 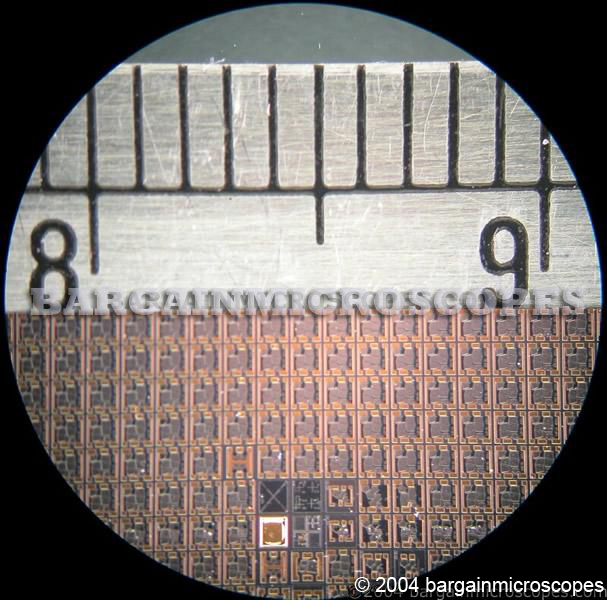 They are great for microscopic inspection and repair of surface mount devices (SMD), circuit boards, etc. 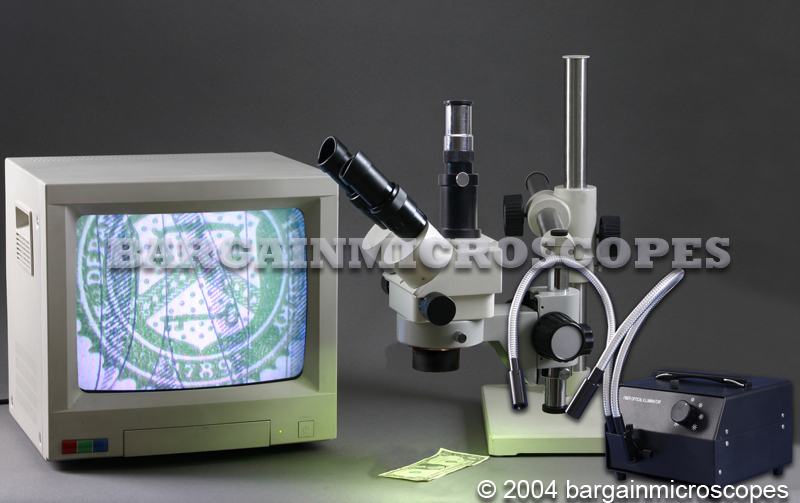 They also work great for forensic document examination, microscope engraving, and quality control inspection stations. Multi-function USB computer connected camera with NTSC TV video output is included. Laptop/Monitor are not included. 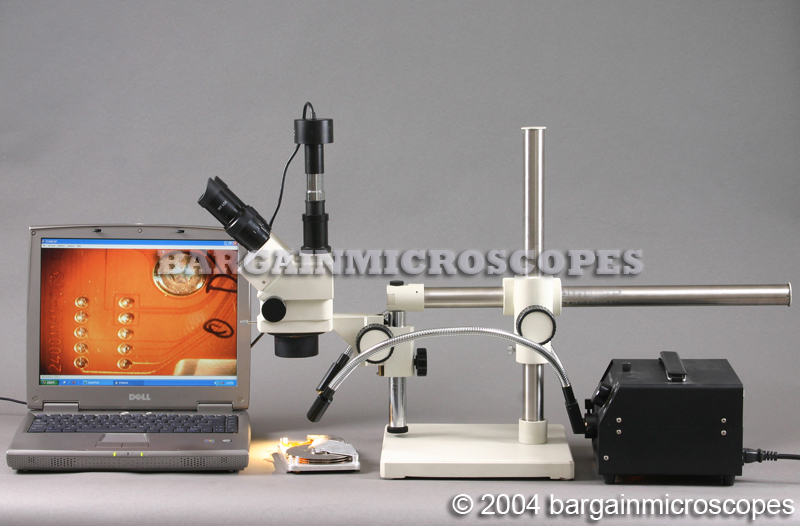 Boom Stand Mounted Stereo Trinocular Zoom Microscope! Great for Repair of Small Items or for Circuit Board Repair and Rework! 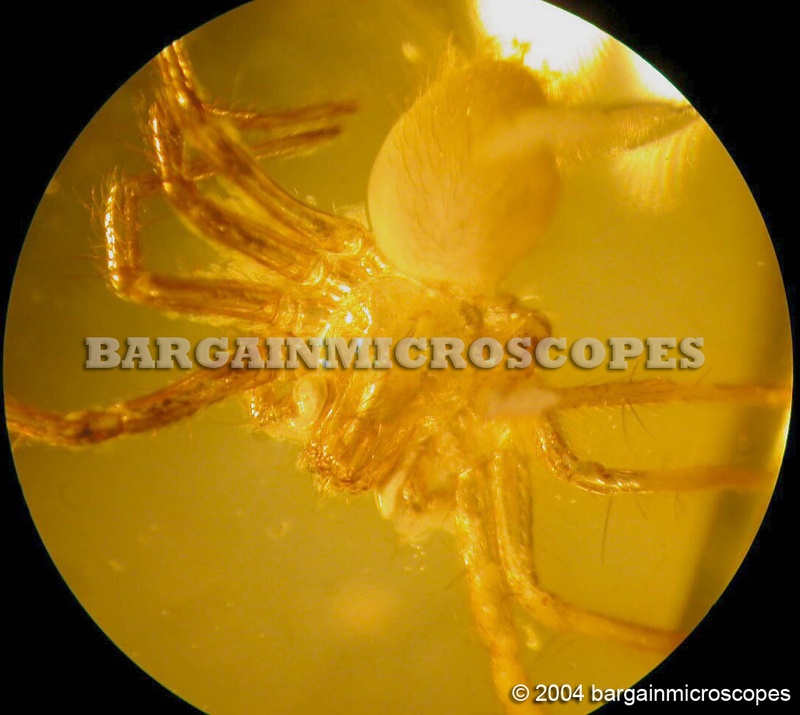 Bright and Clear 3-D Stereoscopic Images through High Quality Zoom Optics! Great Economical Price! Priced Hundreds Lower than Competition! 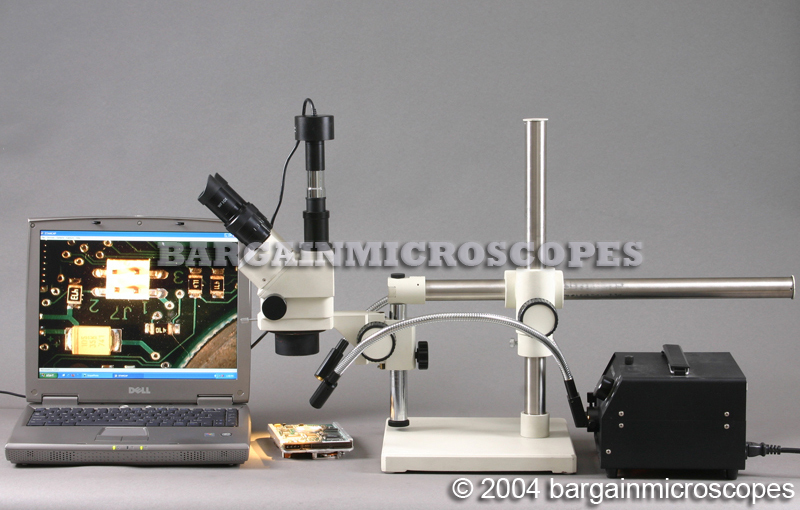 Circuit board repair microscope on boom stand. USB computer connected camera included. Computer/Laptop not included. Shape of microscope camera may vary from what is shown. Includes video ccd camera for output to cctv or tv monitor. 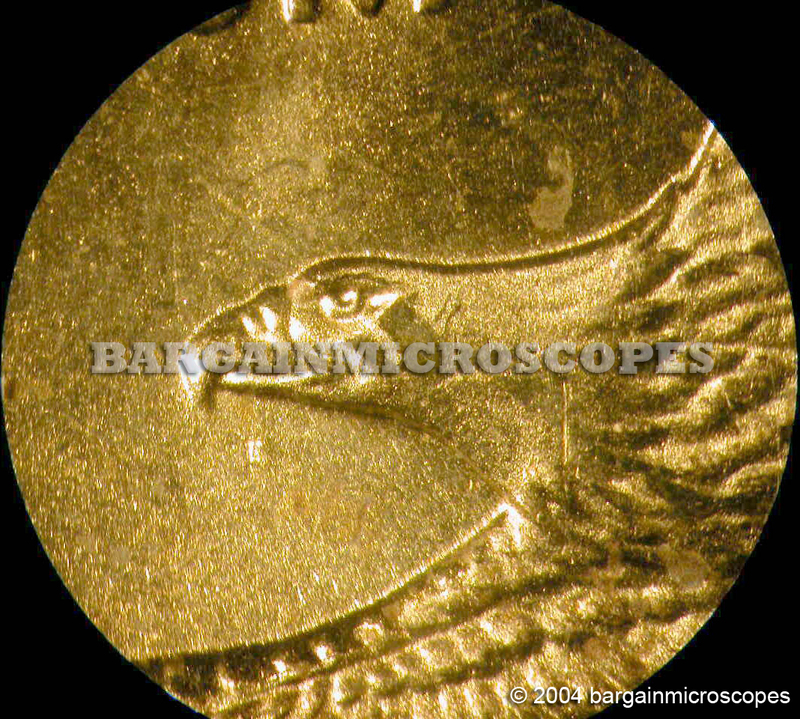 Photographs taken using different digital camera held to eyepiece of this microscope. Dual Usage Camera Included! Connect to both CCTV Monitor/TV or Computer! 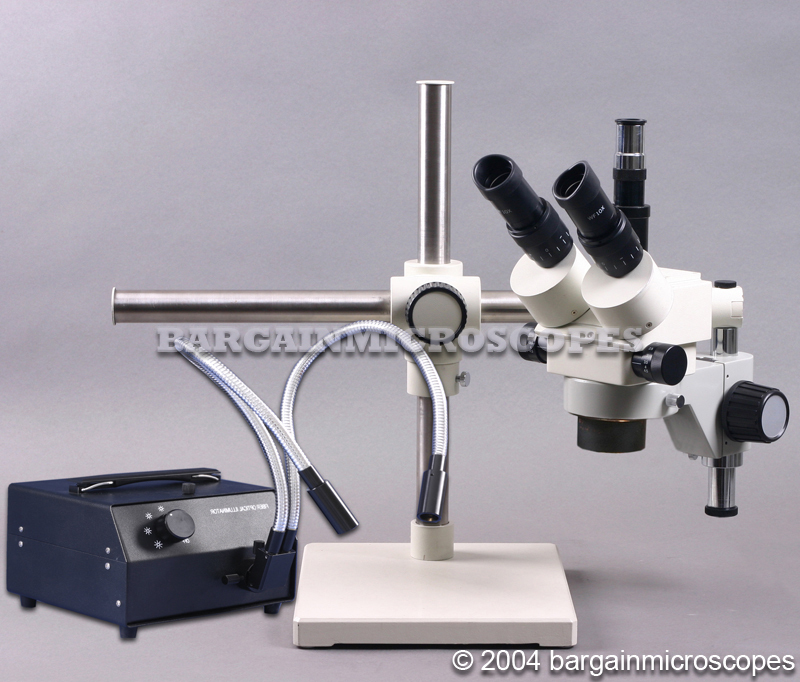 This is a unique two-in-one camera that allows both common microscope camera outputs. Normally, you need two separate cameras to get this functionality. Capture 720×576 pixel digital still and digital video via the USB input on your laptop computer. Output live video to a CCTV monitor or normal Television using the NTSC composite video-out giving 420 TV lines and 370K pixels. PAL format available upon request. Microscope camera kit includes dual-usage camera, USB cable, Video cable with RCA jacks, autovolt power adapter, and Windows software. 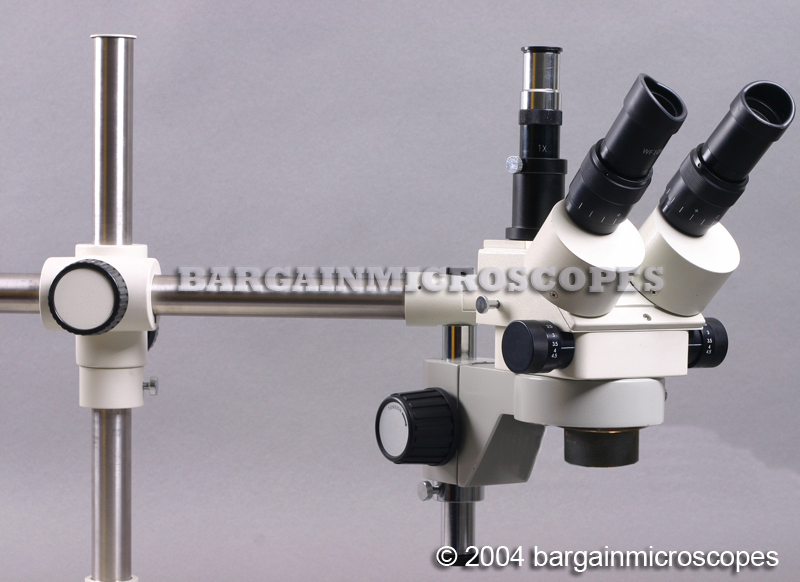 Zoom Range 3.5 – 90x Continuous Magnification (using both eyepiece sets and with and w/o bottom lens). Wide Field 10x and Wide Field 20x Eyepiece Sets Included. Includes 0.5x Bottom Lens. This lens decreases magnification and approximately doubles working distance. A greater working distance allows more room to get your hands and tools under the scope head. 45 Degree Inclined Trinocular Head, Rotatable 360 Degrees. Nice Working Distance to Allow Room for Your Tools. (Distance from Bottom of Lens on Head to Top of Object in Focus) 92mm – w/o Bottom Lens on, (131mm w/ Bottom Lens on). 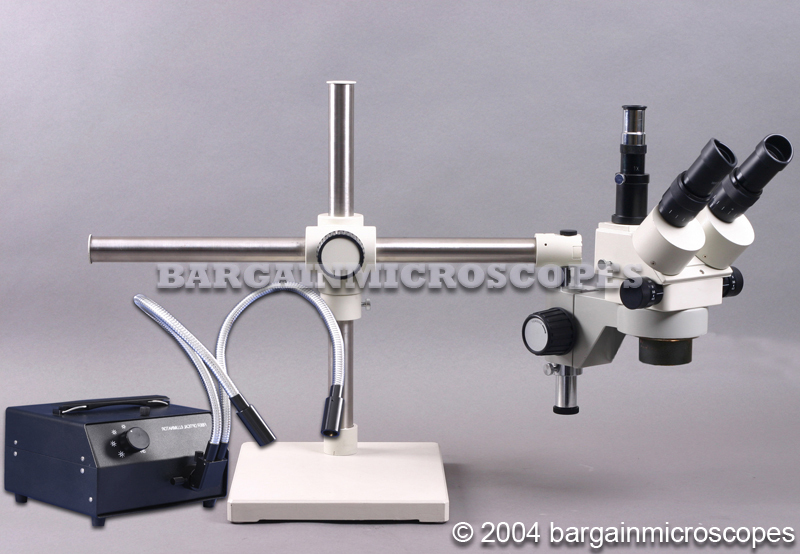 Includes phototube with standard 23mm internal diameter for attaching standard microscope photography equipment. Includes 1x c-mount for attaching standard ccd video camera equipment. Optional c-mount with reduction lens for mounting to the trinocular port and attaching the ccd camera. This only affects the ccd video camera and not other photography equipment. 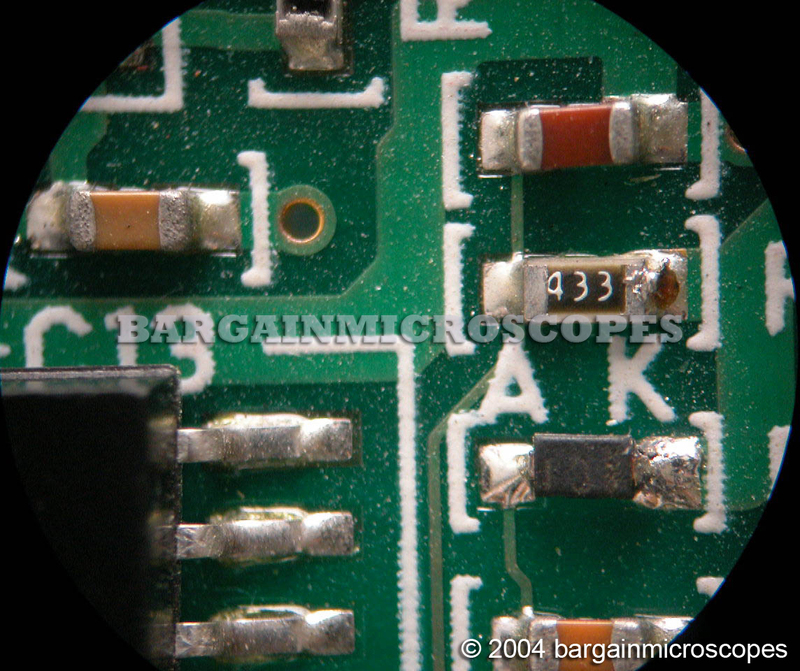 It will reduce the ccd camera magnified image through the microscope trinocular photography port.